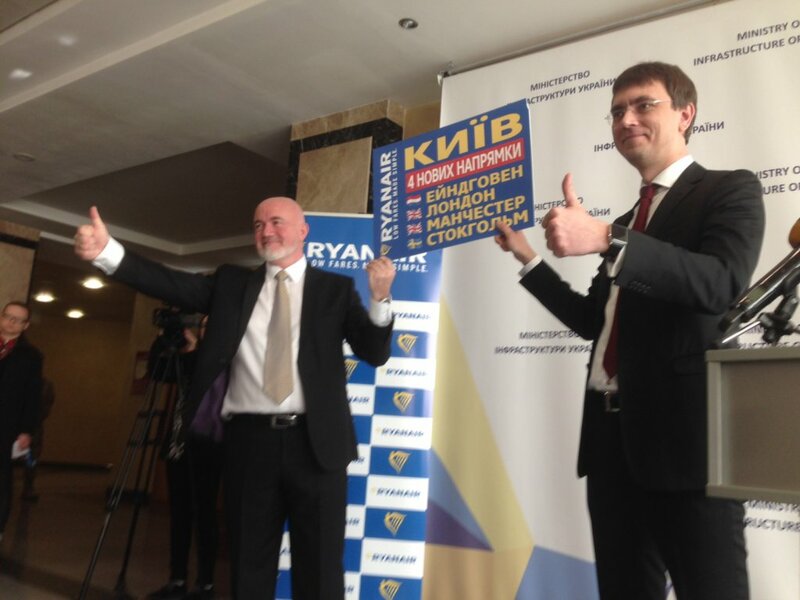 Ryanair, Europe’s No.1 airline, today (15 Mar) announced its first Ukraine flights, its 34th country, with 4 new Kiev routes to Eindhoven, London, Manchester and Stockholm, starting from October, which will deliver 250,000 customers p.a. at Kiev Airport. Ryanair will also commence flights to/from Lviv, with even more new routes and lower fares for Ukrainian customers and visitors. Ryanair celebrated its new Ukraine flights by releasing seats for sale at prices starting from just €19.99 for travel in October and November, which are available for booking until midnight Thursday (16 Mar).